Let’s take another look into the Aviation cocktail. This benefits a long shake, like 15sec. Maraschino really adds to the aroma of sour cocktails and other lighter cocktails. This one is really a showcase to the Maraschino liqueur. You get a lot of nuttiness at first and then the floral notes of both gin and maraschino comes through, with a pleasant and refreshing sourness. White Lady is really in the buzz right now, but what about the ‘White Lady’ from the past? Maraschino was to the 19th century what Triple Sec is to this day cocktails. Dry shake, shake, strain into chilled cocktail glass. Trying a local twist at those, I tried the Prado with cachaça, ¼oz of egg white really dulled the whole thing, you couldn’t get nothing but maraschino. Shake & strain into chilled cocktail glass. This also benefits from a long shake, around 15 sec. The cachaça is really noticeable at first with a nuttiness from the maraschino coming together. 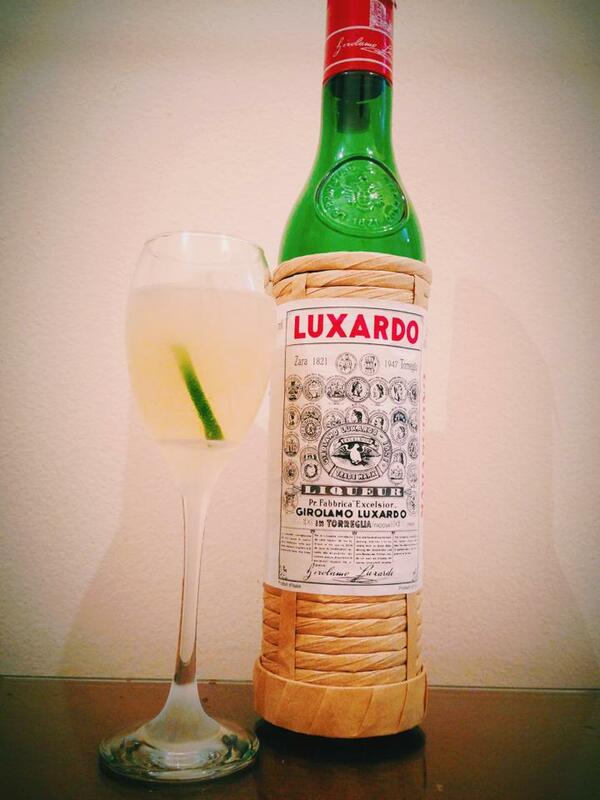 In the mid-palate the maraschino gives a pleasant touch with the lime getting the sweetness out. I think a little less of maraschino could be added, something like ¼oz+½tsp (3/8 oz). The cachaça plays really well with the cachaça. You should try this out! This Mxmo is hosted by ginhound, and let thank our host, Fred Yarm and Paul Clarke! You can check the roundup here!